Unify Credit Union, who supply payroll partner services to employers across Wigan and Leigh, walked away with three accolades at the annual Edward Filene Awards. The payroll provider team, which also offers savings and loans products to individuals, were recognised with a ‘Special Award for Excellence in Film Production’ for their promotional Halloween video campaign, as well as an award for ‘Hosting Saving Schemes for Primary and Secondary School Pupils’ and another for the ‘Use of the Media’. 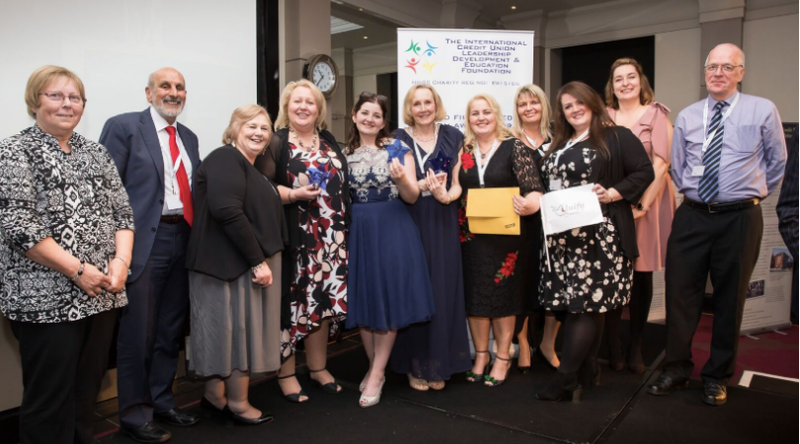 The awards dinner, which was held at Manchester’s Raddison Blu Hotel, celebrated those who have successfully participated in the Filene and Biden Awards programme by showcasing their efforts and achievements. They also give an opportunity for those involved in the co-operative credit union movement to meet others from this country and other parts of the world.